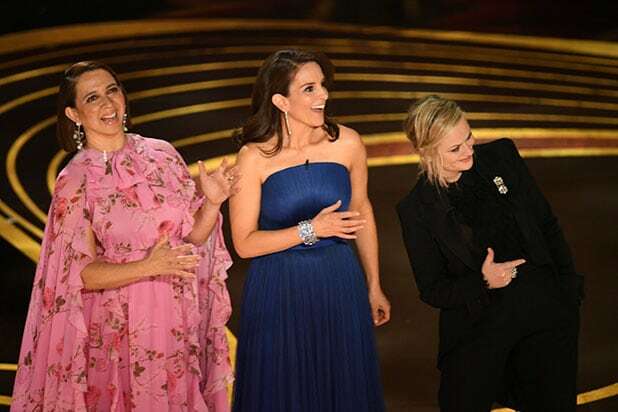 The Oscars were supposed to go hostless this year, but the first set of presenters — “Wine Country” director Amy Poehler and co-stars Tina Fey and Maya Rudolph — ended up delivering what seemed a lot like a traditional opening monologue. After introducing the show, the trio of “Saturday Night Live” alums came out to present the first award, Best Supporting Actress, and delivered a string of jokes poking fun at the confusion surrounding this year’s Oscars, including comparing since-reversed plans to award a Popular Film category and the Kevin hart hosting drama to Donald Trump’s promise that Mexico would pay for a border wall. 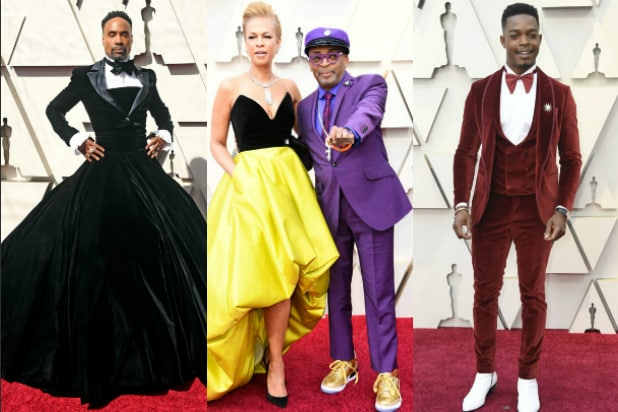 They also lightly razzed a few of the nominees, including “A Star Is Born” director Bradley Cooper and “Black Panther” star Chadwick Boseman. Their performance followed the show’s true opening, a Queen medley and Freddie Mercury performed by the band’s surviving members and “American Idol” alum Adam Lambert.